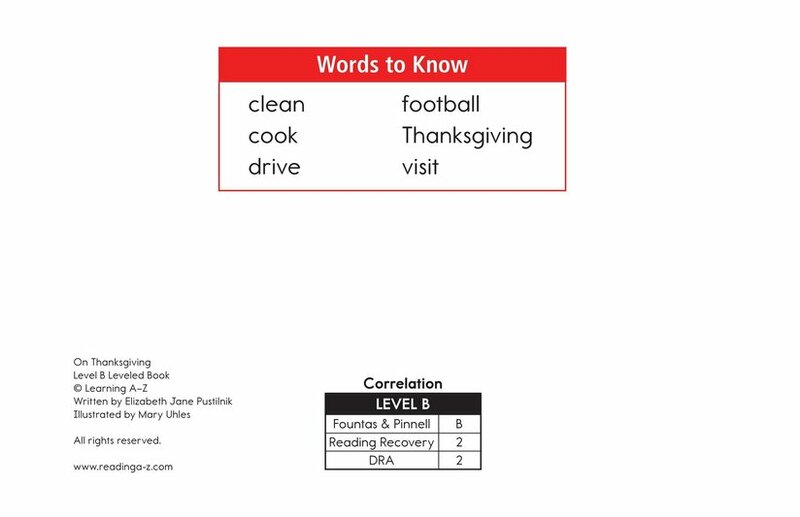 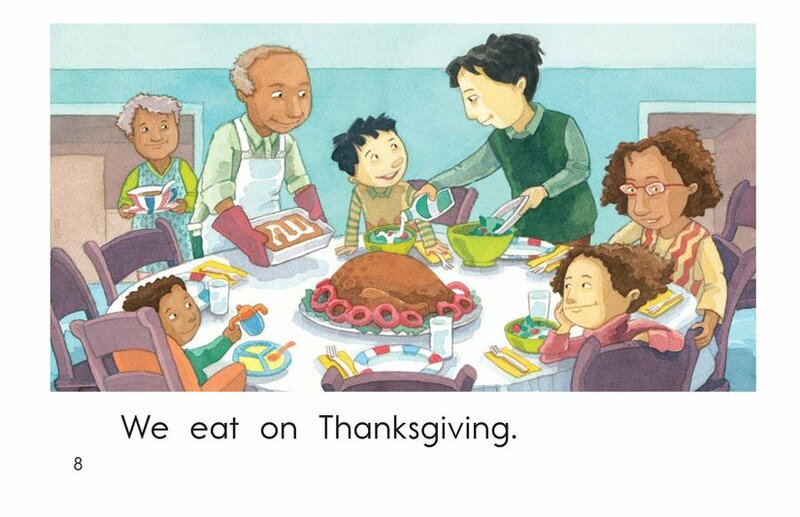 Many people celebrate Thanksgiving with various traditions. 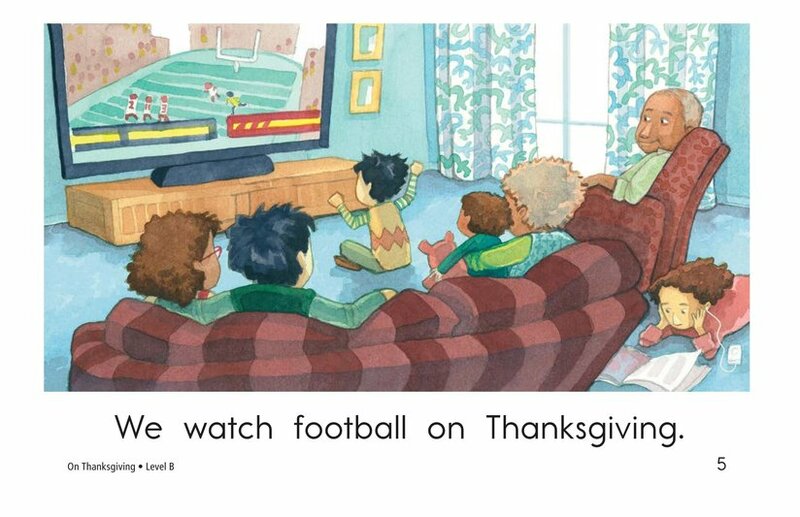 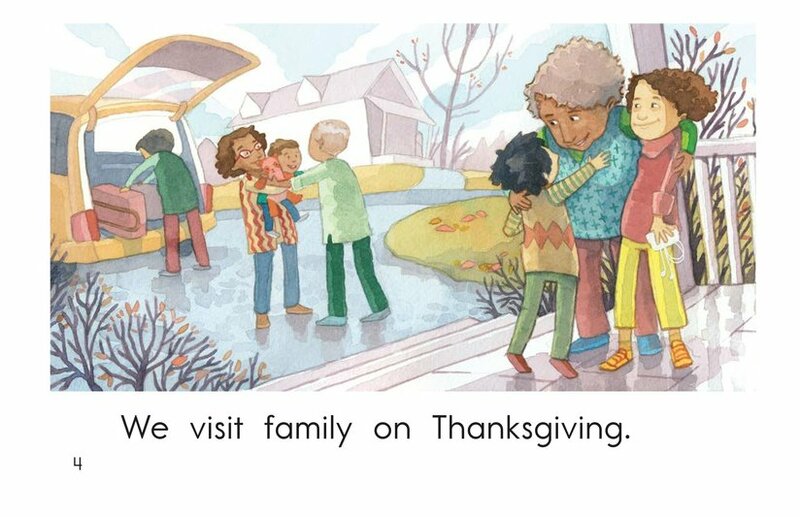 On Thanksgiving shows how one family celebrates this annual fall holiday. 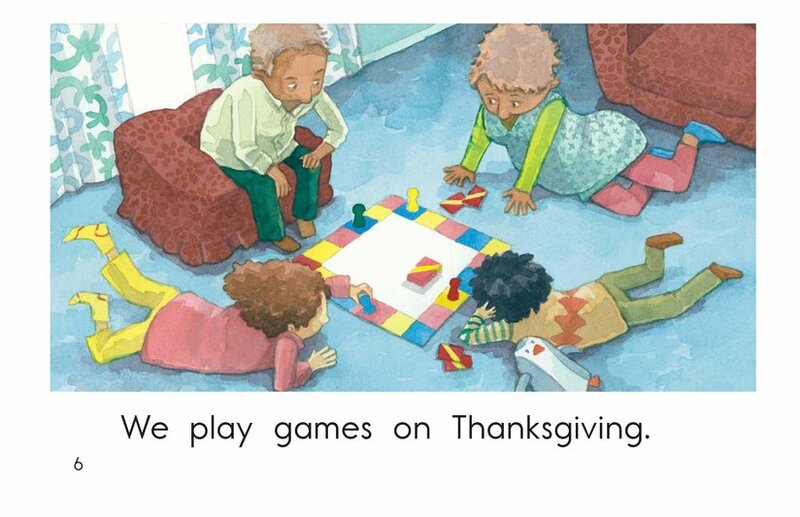 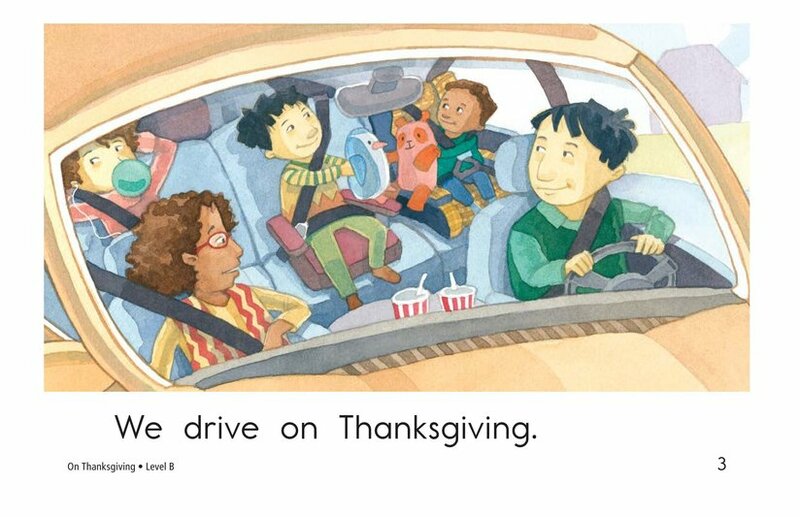 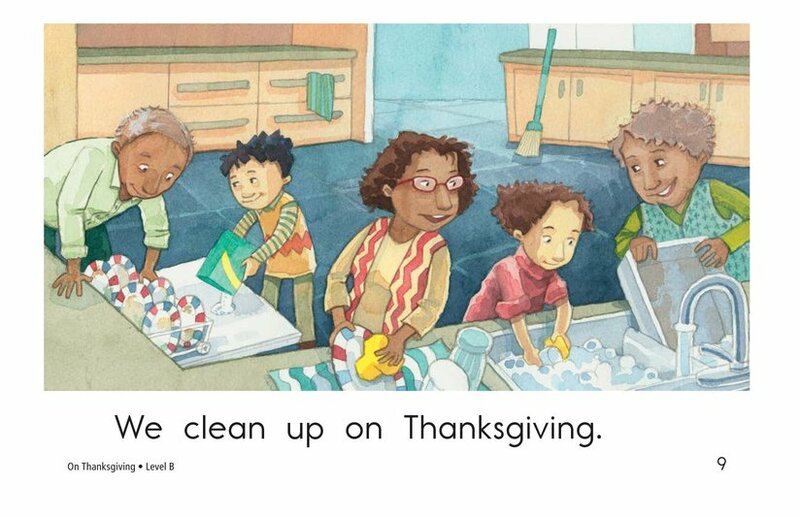 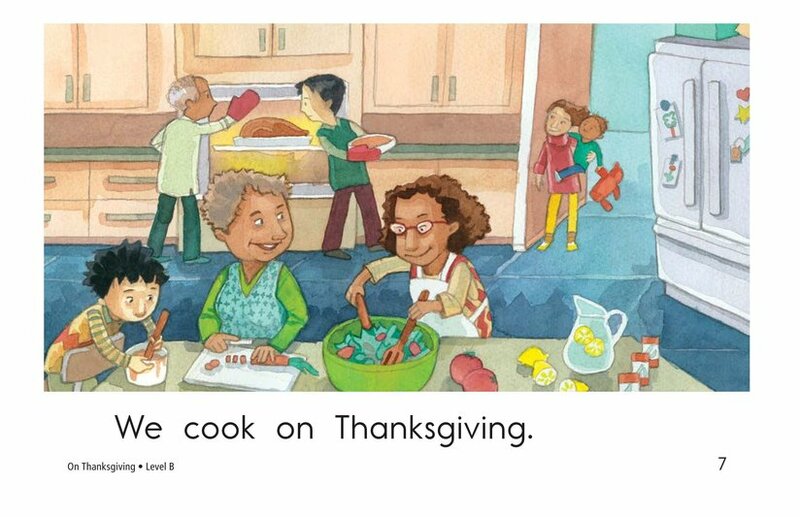 Colorful illustrations accompany simple text and support early-emergent readers. 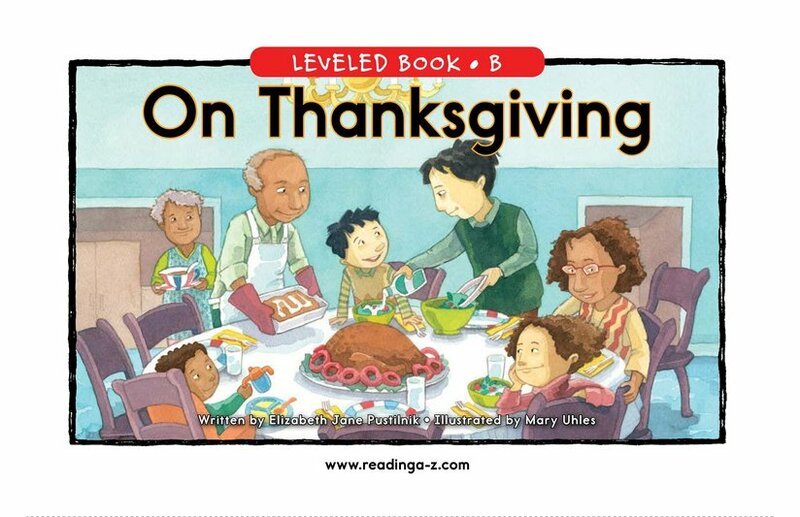 This book can also be used to teach students how to visualize to understand text as well as to sequence events in a story.